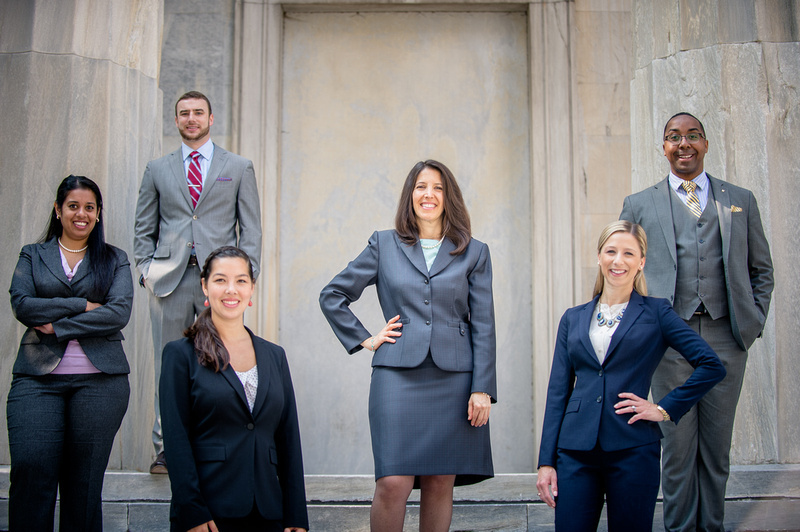 Firm President, Sheryl L. Axelrod, standing in the middle of a number of the attorneys she mentors — from left to right: Neelima Vanguri, Dan Oberdick, Melissa Pang, Vanessa Snyder, and Damian Sammons. Diversity and inclusion are passions of mine. I explain why under the tab entitled “Personal Note.” I spent my formative years learning firsthand about the importance of individual liberties experiencing my family’s personal civil rights struggle for my two slow-learning brothers. Because of the struggle my family went through, I have long believed in diversity and inclusion, and in reaching out and establishing relationships with those who may feel excluded. I have written about the competitive advantage of diversity. My article, “The Dollars and Sense of Diversity,” was the cover story of the July / August 2012 issue of The Pennsylvania Lawyer, the magazine for the Pennsylvania Bar Association and its 28,000 members. People are catching on. Since the article’s publication, I have been invited to speak to a number of law firms’ partners and shareholders, and to the attendees at the Pennsylvania Bar Association’s Diversity Summit. I was appointed by the Board of Directors of NAMWOLF (the National Association of Minority and Women Owned Law Firms) Co-Chair of the NAMWOLF Advocacy Committee. In that role, I am advocating nationwide for the greater inclusion of minority and women-owned businesses, particularly law firms. I also serve as a Diversity Fellow in the American Bar Association and on the Diversity Committee of the National Association of Women Lawyers. My additional efforts to further diversity and inclusion run the gamut from work with children and steps taken in my presidency of the Temple Law Alumni Association, to greater outreach in addition to my articles, in the legal profession. I found that if I put it all down on one page, such as this one, it would be too cumbersome to read, so I broke the work up and described it on the tabbed pages of the site entitled “With Kids,” “Among Lawyers,” and “TLAA Initiatives.” I must thank Take the Lead for their gracious mention of the program I put on with them on the profitability of diversity. Further activities done to enhance diversity and inclusion are also listed on our website’s Webinars and Events page.